If you’ve been to a spa and received a professional scalp massage, you definitely know what a great experience it is. However, it’s not possible to visit a spa every day to get the massage as it would take a lot of your time and money. Luckily, thanks to the introduction of scalp massagers, you can get a professional level scalp massage right in the comfort of your home. Life and our daily routines can bring about stressful moments and fatigue leading to headaches, depression and poor blood circulation. A scalp massage can help you relax your mind, reduce stress, and encourage circulation. 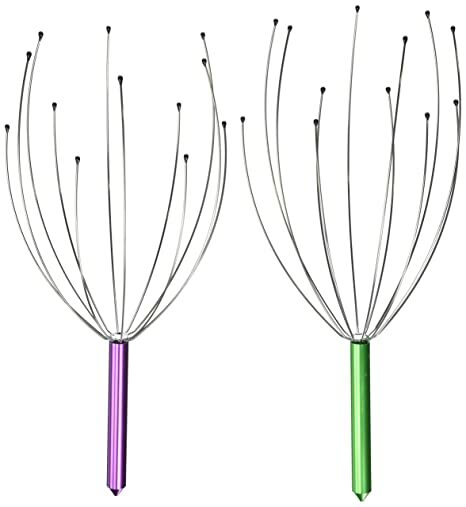 There are many scalp massagers available on the market, and they come in different shapes, sizes, and designs. Most of them are quite affordable, ranging between $10 and $30, and hence there’s no reason why you shouldn’t be able to get one. In this article, we present the top five best scalp massagers that can help you relax and relieve stress. Understanding what each of the massagers can do will help you to determine the best model for your needs. Vitagoods Scalp Massaging Shampoo Brush is a great choice for soft relaxations of the scalp. 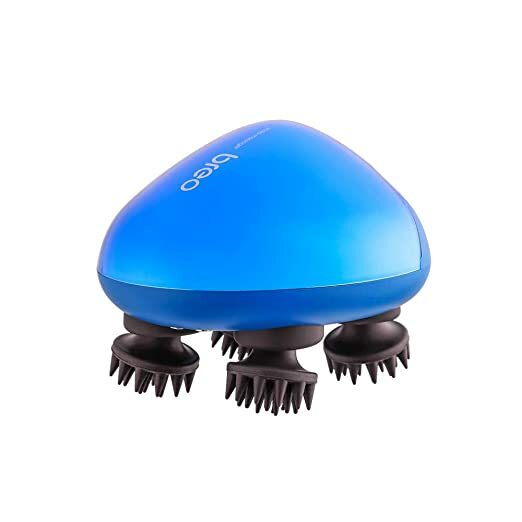 Its gentle vibration and flexible rubber bristles stimulate blood circulation in your scalp, thereby giving you a nice massage experience. The rubber tips are excellent for easing tension without irritating the skin. 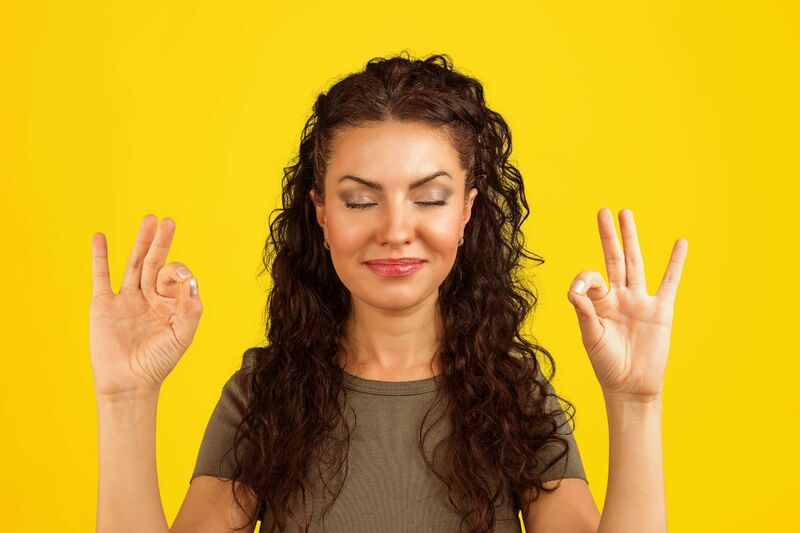 The vibration will relax your brain and relieve stress and fatigue. The massager also cleans and exfoliates your scalp thereby helping to control dandruff. In addition, this massager makes shampooing your hair easy regardless of its type. It has a simple design, with an ergonomic handle and on/off button which makes it easy to use. Its waterproof feature allows you to use it safely in the shower for a maximum delight. 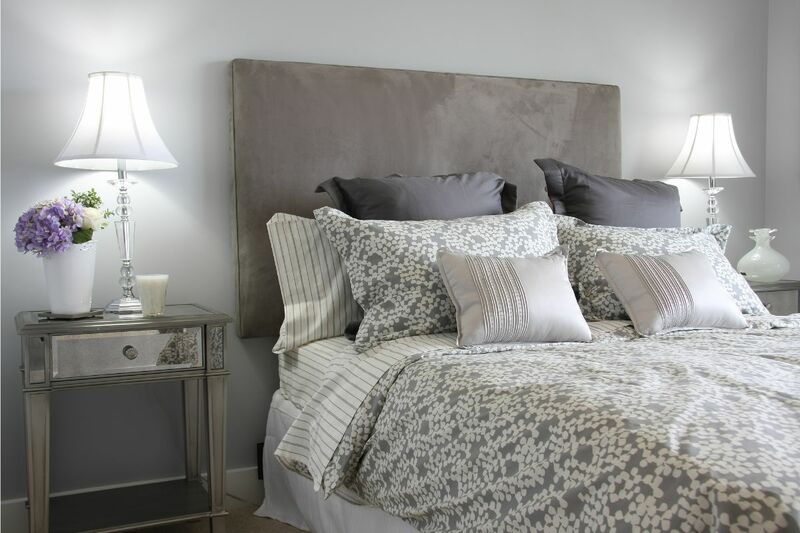 It also comes in different colors giving you plenty of options to choose from. You’ll only need to buy one AA battery to enjoy a soothing relaxation. Owing to its advanced technology, this electronic scalp massager does a great job at massaging your scalp and providing utmost relaxation. It has 28 massage nodes which perform the kneading functions without using too much power from the AAA batteries that come with the massager. The three batteries will give you a minimum of two hours of after-work stress relief. 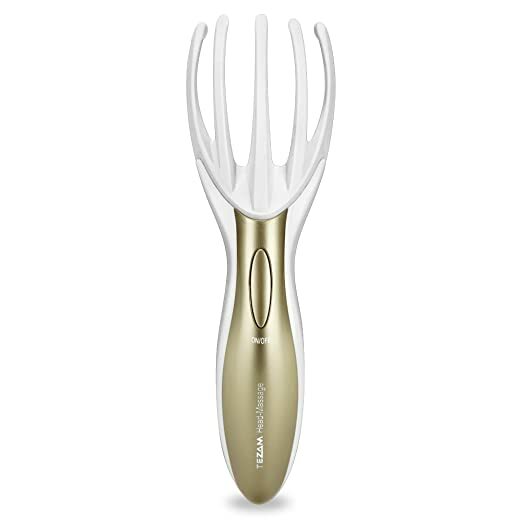 Despite its size, the massager does a great job of massaging your scalp. The massager also comes with four brush attachments which are easy to clean as you can remove them at any time. The device is waterproof hence you can use it while showering, making full use of shampoos, conditioners, and face washes. Tezam Head and Neck Massager is ideal for any person who wants to enjoy a relaxing time after a long day. The massager is easy to use and is designed to fit perfectly into the palm of your hands. Its portable, versatile, and has one main button. It functions through heavy vibration effects that are carried out into the tips. Apart from being quite relaxing, the massager also stimulates blood circulation and helps in hair growth. This massager can can also be used for relieving tense spots around the neck area. 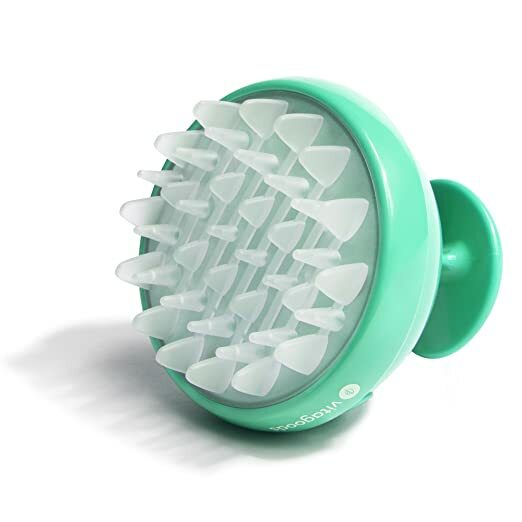 This handheld scalp massager is a great massager for delivering complete relaxation at the end of a long busy day. It has four rubber massage heads with a dozen finger-like nodes that imitate the movements of a professional masseur. It also provides vibration that stimulates blood to the scalp hence bringing a positive effect on your wellbeing. 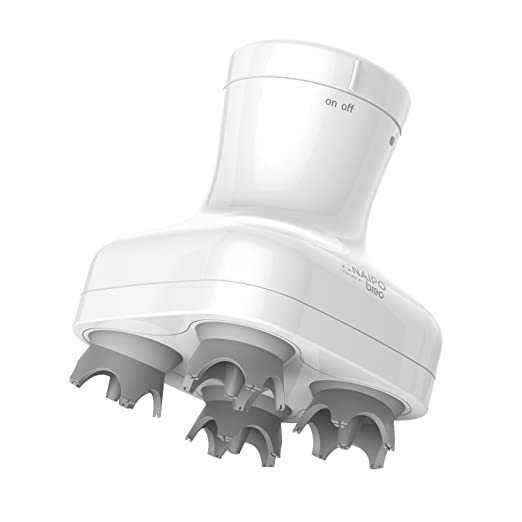 Breo IPX7 Scalp and Body Massager is waterproof, making it excellent for kneading your scalp even while you shower. Besides helping you relax and relieve stress, this electric massager can help stimulate hair growth, due to its numerous nodes. This massager makes it to the list as an alternative to the powered massagers. The massager does not need any power, but instead, it relies on the motion of your hand to stimulate the scalp and relax the nerves. It creates a unique sensation across your scalp without the need of any heat or vibration. The thin metal legs, capped with small nubs, provide a targeted pressure sensation across the scalp. You drag the device across your skin with the flexible legs pointed down and repeat the process as many times as you wish. You can also drag it from different angles to massage different parts. 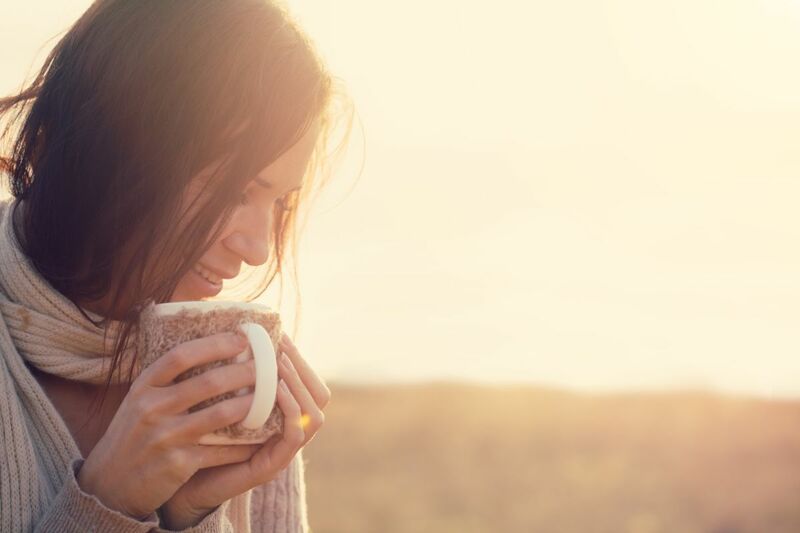 It is quite straightforward to use, and you don’t need any special directions or accessories to get the benefits of stress relief, relaxation, and better sleep. Headache relief – Scalp massage is soothing and can help relieve tension headaches and symptoms of migraine headaches. 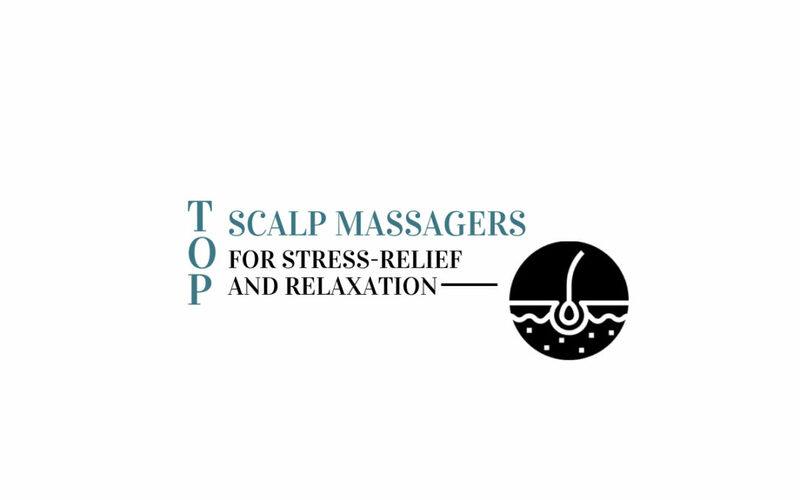 Relaxation and stress relief – Scalp massagers can help relieve tensed muscles and provide deep relaxation. 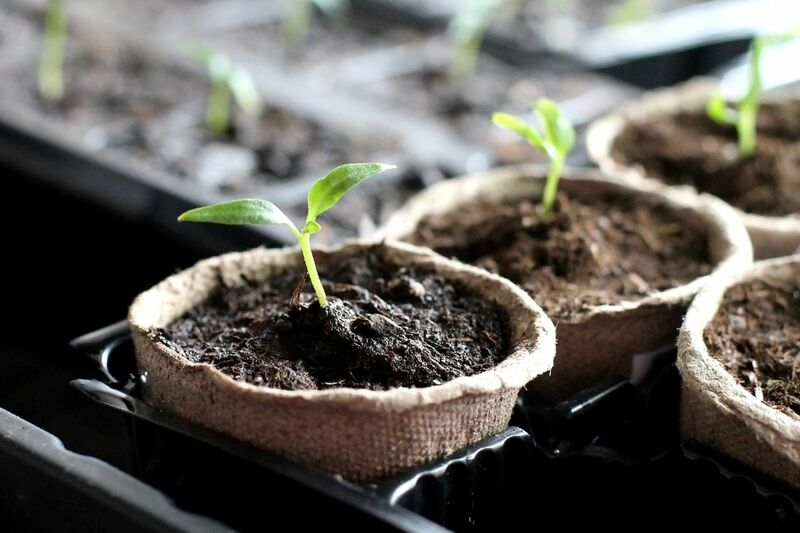 It reduces depression and other stressful emotions. Increased blood circulation to the scalp – Stress and tension can cause blockage of blood flow to the scalp. Scalp massage can remove the negative emotions and improve blood circulation to the face and head. Better sleep – A scalp massage can help those who suffer from insomnia. It can help you in both falling asleep and staying asleep. Hair growth – Scalp massage promotes blood flow to your hair follicles, thereby encouraging the growth of long, shiny and strong hair at a faster rate. Scalp exfoliation – Scalp massagers loosen up dead skin cells on your scalp and help in cleaning the scalp and controlling dandruff. All the scalp massagers listed above can help you relax your mind, relieve stress, improve blood circulation, and promote hair growth. Therefore, it’s up to you to choose the one that is appropriate for you. The most important factors to consider when choosing include portability, ease of use, comfort, price, and whether it’s electric or manual.